In recent years we’ve seen whisky investing branch out into new and exciting categories. There's been a whisky cryptocurrency, auctions held for almost priceless bottlings, and bottle exchanges. 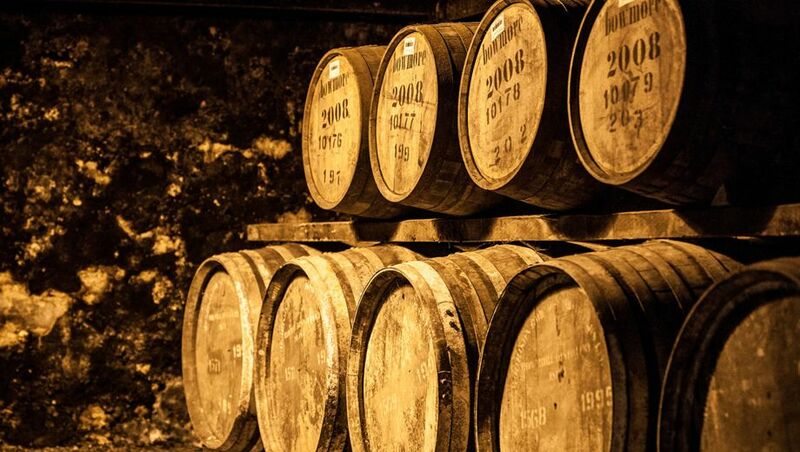 Whisky as an investment you can feel, follow, and enjoy is bound to succeed. With too many bottles to store and the future of cryptocurrency uncertain, it’s time to explore a new, safe, and satisfying method of whisky investing. Nothing says adventure like jumping on a flight to Scotland, driving through the Scottish Highlands, reaching a forested distillery, and sampling a whisky cask with your name on it. While it may sound complicated, purchasing a cask is as straightforward a transaction as they come. A cask broker sends through a list of available casks, of varying types and ages. Once a choice has been made, customers pay the invoice, and are given a certificate stating the number of their new cask. Following the transaction, the cask continues to live in the distillery’s warehouse and age peacefully until the client is prepared to either have it bottled for a special occasion, or resell it as is for a higher price. After all, the whisky will continue to age and increase in value. Depending on the cask, ex-sherry, ex-bourbon, or other, the size and cost, will differ. Bourbon casks are smaller, while sherry butts are much bigger and usually more expensive. “Casks are the smartest way of investing in whisky,” explains Patrick Costello, the director of cask sales specialist firm Cask 88. Cask 88 has "access to casks from over 40 top distilleries, across all the whisky-producing regions in Scotland." "But instead of simply selling a cask to our clients, we aim to support them through the various stages of the cask-buying process, from selecting a cask and maturing the whisky, to bespoke bottling and labelling." Aside from individual sales, the Cask 88 team supply casks to major hotels and establishments across Europe and Asia, most recently creating a Macallan bottling for the Peninsula Hotel in Shanghai and before that, one for the Galaxy Macau resort. Safe, straightforward, and a great excuse to head over to Scotland, this could be the perfect excuse to try this exciting new method of investing. George’s passion with whisky began when he lived in Japan, which is ironic because he’s Scottish. Now living in Taipei, he spends much of his time travelling around Asia exploring the region’s fascinating food and drink scene, especially when it comes to speakeasy bars.